$92 for an iPhone 5, 5C or 5S Screen Repair. It’s hard to beat! Did you know that we boast some of the best prices in the industry on the iPhone 5 lineup of repairs? That’s right, we carry the parts in stock, can perform repairs while you wait, and we’re open until 7:00pm during the week to help you work around your busy personal schedule. Saturday work better for you? Sure, come on in to any one of our locations from 10am to 5:00pm and we’ll take care of business! $92 for the iPhone 5C screen repair. $92 for the iPhone 5 screen repair. $92 for the iPhone 5S screen repair. It’s your choice, with one price. Need something other than the screen repaired on one of these devices? That’s no problem because Mission Repair performs all repairs on Apple devices like headphone jack replacements, battery upgrades, power button solutions and liquid damages. There’s nothing we can’t fix. Give us a call we’ll even pick up your device from your home or office if that’s easier for you, anywhere in the USA. If you read my blog earlier about the iPhone 5 series of screens that are becoming high in demand, you might latch on to the fact that in a few weeks it may be impossible to get your iPhone 5, 5S, or 5C screen repaired quickly. This means that if you’re in the market to have one of these devices repaired, it would make sense to do it now rather than wait. There will be a shortage on screens available to ALL repair centers like Mission Repair, and since stock is still available – now is the time. No, this is not some “false” information to get you to buy now. This is a tidbit to help our customers avoid LONG delays on iPhone 5, 5C and 5S screen repairs because once the Nationwide supply is gone it’ll be a few weeks before new screen inventory is available. I’m just trying to help. Here at Mission repair we have several hundred iPhone 5C screens in stock, so for the immediate future there doesn’t appear to be any issue; but take it from me there’s an ominous feeling on “our side” of the fence when talking to supply vendors on these parts and everyone is getting nervous. 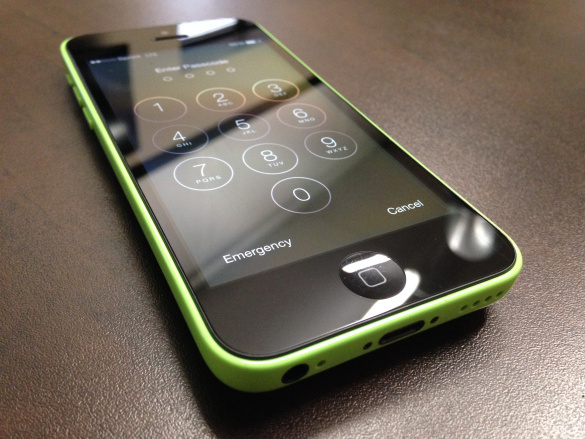 iPhone 5C Screen Repair – only $92 at Mission Repair! iPhone 5S screen repairs for $92?!? Good morning, did you know that we’ve lowered our pricing on all of the iPhone 5, 5C and 5S screen repairs down to just $92 installed? Yes, that’s correct, and we can do these repairs while you wait at any of our locations, or simply use our mail-in service if there’s not a Mission Repair store near you! We have simple and effective shipping options on each of our repair services and we’ll even email you a label if that helps. We ship to every address in the USA – and we have been for years. Oh yes, we’ve got the best shipping rates in the industry. That’s a fact. There’s never been a better time to get your phone back in factory shape; don’t use that broken screen for too log as it just might get worse and cause more damage than you’d expect. Give us a call at 866-638-8402 if you have any questions, thanks so much for reading today! HINT: Mission Repair Labor Day weekend specials are coming! Check out the new price on iPhone 5C repairs. Good morning – this is a quick “spoiler” blog for the upcoming Labor Day weekend specials that we’ll be running. The prices are already starting to drop. Today, the iPhone 5C Screen Repair has been lowered to $109. That’s for the parts and labor to be installed on your phone. If you have a cracked screen on your iPhone 5C, this is the lowest price that you’ve ever seen for the service that you’ll receive from Mission Repair! There are many other great specials that will begin shortly. 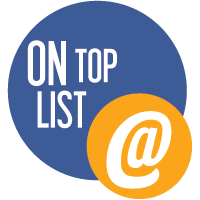 Want to know how to be the first on the list to know? Just sign up for our newsletter here and join the tens of thousands of other subscribers that gets Mission Repair info fast. If you sign up, you can always unsubscribe with no worries about a ton of SPAM coming your way. I hate junk email, I wouldn’t do that to you. We’ll be back with money saving deals available only at Mission Repair very soon! The iPhone 5C screen repair has been a HOT seller for us in the last couple of months- so much so that it drove me to place a huge order for screens, and they are here! I admit it…I ordered too many. So I’d like to step up the sales on this particular unit for the next couple of days to reduce stock. I know that it might sound a little strange to you; but keeping too many of one particular device in the building isn’t a smart move, and inventory management is a daily project. Let’s run a fantastic special on this repair now until Friday August 8, 2014 at Midnight…use coupon code “INVENTORY” to receive $30 off this repair service- to bring the price down to it’s lowest price ever on our site. A $30 savings on this screen repair alone should be enticing- coupled with same day service, amazing shipping rates, and while you wait repair with no appointment necessary build a great case to get your iPhone 5C glass repaired now! Use the coupon code online to receive your savings or simply print a copy of this coupon to get the discount when you visit one of our locations. Remember that we’re open 7 days a week to serve you, and we’ll be happy to take care of that cracked glass fast. Looking for more information? Give us a call at 866-638-8402! iPhone 5C Repair – lowest price to date at Mission Repair! Wow. I am surprised to see how many of you from across the Nation have taken advantage of our extremely low repair price for the iPhone 5C cracked screen. I continue to place orders for the screens at amazing quantities! There’s no rush if you’re in need, however we have a great supply of these screens in stock now to take care of your broken iPhone 5C. Don’t forget that we have an Express Service Option if you visit one of our locations so we will take care of you fast. Give us a call. We are here for you and don’t want you to live with that cracked iPhone screen. 866-638-8402.